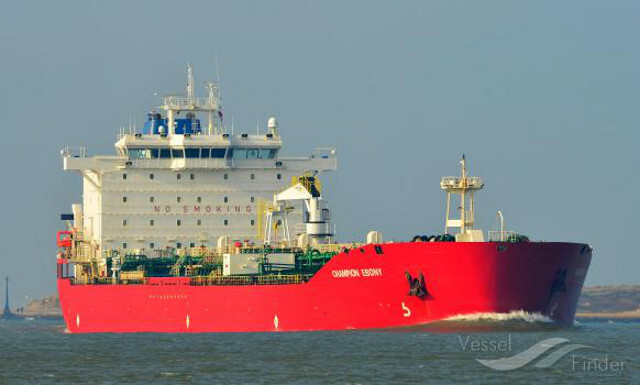 Norway-flagged chemical tanker Champion Ebony, carrying around 14.2 million gallons of fuel, ran aground near Nunivak Island, Alaska, on June 24, the US Coast Guard said. The crew of Champion Ebony was able to refloat the vessel and make way under its own power to deeper water at approximately 9:28 a.m., reported no signs of pollution, and is anchored to assess for damages. Coast Guard Sector Anchorage watchstanders received a report from the National Response Center at 9:24 a.m. that the vessel Champion Ebony ran aground carrying approximately 14.2 million gallons of various fuel products. The captain of Champion Ebony reported that no pollution or injuries resulted from the incident. A Coast Guard Air Station Kodiak C-130 Hercules airplane crew conducted an over-flight of the tanker and reported no signs of pollution in the vicinity of the tanker. The Champion Ebony is a double-hulled vessel that had 24 crewmembers aboard at the time of the incident.